Nebulas is a next-generation public blockchain. It introduces Nebulas Rank (NR), a new measure of value for every unit of the blockchain universe, like addresses, DApps and smart contracts. Based on NR, it involves Nebulas Incentive (NI), which motivates developers with Developer Incentive Protocol, and users with the Proof of Devotion consensus algorithm. Moreover, it proposes Nebulas Force (NF), which gives the blockchain and smart contracts within it a self-evolving capacity. In unison, NR, NI, and NF produce a continuously improving and expanding blockchain ecosystem. There are three technical features: value ranking, self-evolution, and native incentive. Facing the opportunity and challenge as above, we aim to create a self-evolving blockchain system based on value incentive. 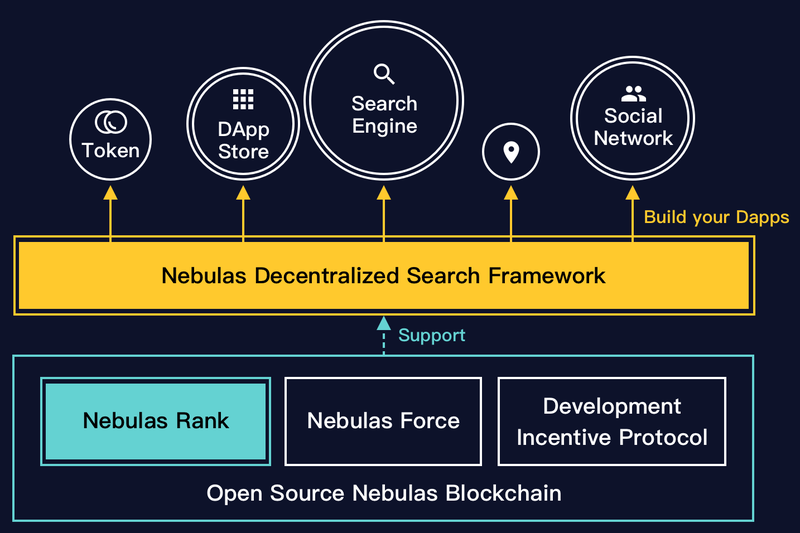 To enable value discovery in blockchain, Nebulas Rank measures multidimensional data in the blockchain world and powers the decentralized search framework. To avoid the damage caused by forking to the blockchain, Nebulas Force enables rapid iteration and upgradability to its blockchain without the need for hard forks. With forward-looking incentive and consensus mechanisms, the Nebulas Incentive rewards developers and users who contribute to the sustainability and growth of the ecosystem. This is an excerpt of the Nebulas Non-technical Whitepaper. If you want to know more about Nebulas, please subscribe to the official blog, or visit our website: nebulas.io. Read our Non-technical White Paper (English), Technical White Paper (English).